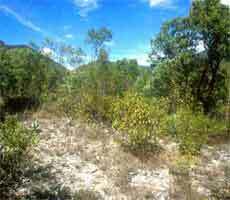 Habitat of A. trigonus LRM101, near Palmillas, the plants occur in large numbers in clearings in low woodland. 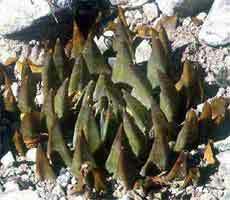 The plants illustrated were photographed several kilometres north of Palmillas, they represent typical A. trigonus, and occurred in large numbers in clearings in low woodland. 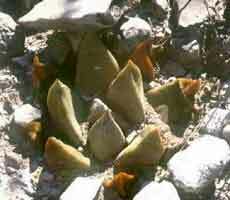 As with other species the range of tubercle forms is large, and plants could be found to match all of the described forms.